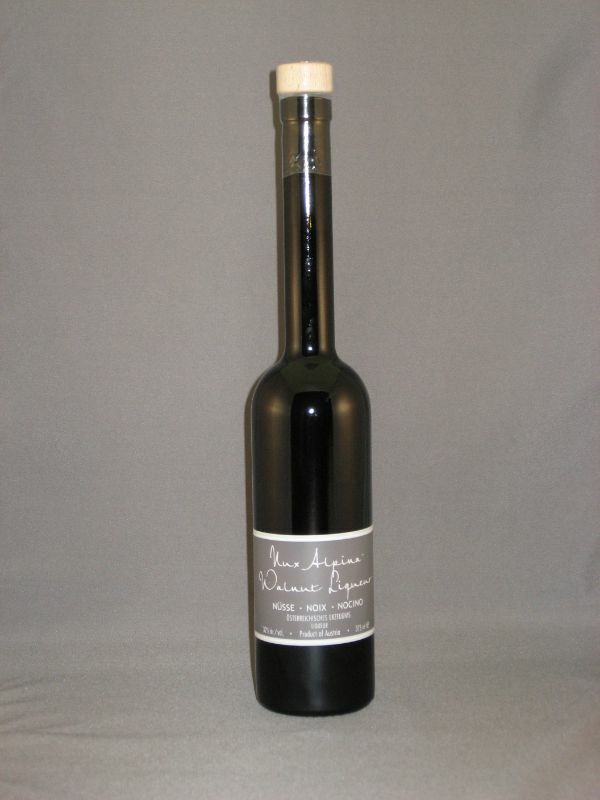 A longstanding tradition throughout the Alps is the annual production of a rich and aromatic walnut liqueur. Each summer the family picks fresh green walnuts from wild stands of the delicate “Weinsberg” variety near the village of Sankt Peter in Der Au. These walnuts steep for months in Weinbrand (a grape brandy) and for the last month with a variety of spices and alpine botanicals. For three generations the Purkhart family has produced this all-natural walnut liqueur from the same family recipe, renowned for its balance and exceptionally smooth finish.